Prof Diarmaid Ferriter is Professor of Modern Irish History in the School of History and Archives in UCD. He has published extensively on twentieth-century Ireland. The proposal to abolish the Seanad, without even considering its reform will, if successful, inevitably result in the concentration of governance in the hands of fewer, without any chance of meaningful oversight and scrutiny of what they are doing. That is why the debate about this proposal needs to be broadened and placed in the context of the evolution of Irish political culture since the foundation of the state, and the multiple problems associated with that culture, principally the excessive centralisation of power. In recent years, the crisis afflicting this state has led to some demanding a new or reimagined republic, but what is disturbing is that there is still such hostility to ideas and consultation from those in a position to give substance to such aspirations. For all the talk of a ‘democratic revolution’ in 2011 – these were the words used by Fine Gael and Labour to describe their election victory – there has been little sign of that meaning anything in reality. The Constitutional Convention, for example, does not address this in a meaningful way; there has been no consultation with the public regarding topics for discussion and one third of the seats are reserved for politicians, which is hardly conducive to the notion of deliberative democracy. Centralisation and unaccountable elites still dominate, if anything more than they did in the past; even the cabinet as an entity now plays second fiddle to the Economic Management Council, four male ministers who make all key decisions on the economy and spending. The decision not to countenance reform of the Seanad but instead opt for its abolition or retention as an unreformed assembly is a further dangerous power grab that if successful will inevitably copper fasten the power of an ever shrinking elite to leave us in an even worse position than we are in now. Most people agree that the decision to create the Free State Senate under the 1922 constitution was enlightened, in order to ensure minority, especially Protestant, concerns were heard. It brought to prominence distinctive and independent voices (as it still does), but also occasionally challenged legislation coming from the Dáil. Because senators were obstructing the Dáil, Eamon de Valera abolished that Seanad in 1936 as he was entitled to do because the 1922 constitution could be amended without a referendum. This abolition revealed the danger of a lack of constitutional safeguards, and the following year, de Valera introduced a new constitution. At the Fianna Fáil Ard Fheis in 1936 he used these pious words in relation to the proposed new Seanad under his 1937 constitution: ‘I hope to see developed gradually here a functional organisation of our society by voluntary action and when that day comes the Senate which we are now proposing can very well develop in to a senate that will be representative of that organisation’. The problem was that he did not mean a word of that. Instead, he effectively ensured that the new Senate would wield little power. It was to be an assembly of 60, elected by an elite of university graduates and other politicians, with 11 senators hand-picked by the Taoiseach. There was a blatant manipulation of the requirement that 43 senators be elected from vocational categories; in practice these elections were too often used to bolster government support or compensate those who had failed to be elected to the Dáil. As Minister for Defence Patrick Dongean admitted in the Dáil in 1974, in relation to his time in the Seanad in the late 1950s, ‘I must admit that during that period I regarded the Senate, and I am sure the hallowed walls will not fall in when I say this, as a place or state of punishment where I must suffer until I returned to the Dáil’. De Valera’s dislike of second chambers was clear but was not shared by all his peers; his colleague Seán MacEntee, for example, pleaded with him not to allow the Seanad to become ‘a complete creature’ of the Dáil. But for all its inadequacies, at least there was a role for the Seanad in revising legislative proposals and subjecting them to greater scrutiny. Amendments suggested by senators over the years and accepted by the Dáil have substantially improved legislation; they may not have generated headlines, and were often of a technical nature, but they have made a difference. All proposed legislation has to be sent to the Seanad; there it can be properly analysed, scrutinised and if it is flawed, such defects can be exposed. This is a power of delay rather than a power of veto; but in itself, a degree of restraint on the pace of the legislative process to prevent the rushing of legislation or panic law making is positive and necessary. In 1987, former senator James Dooge observed that a study of the revision work of the Seanad showed that on numerous occasions when amendments had been rejected in the partisan atmosphere of the Dáil, a minister accepted them after a more objective debate conducted in the Seanad. Amendments from the Seanad that were not accepted at the time they were proposed have sometimes been included in later legislation. 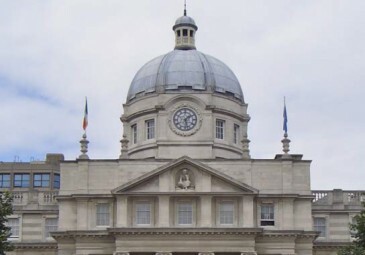 In his 2005 study of accountability in Irish parliamentary politics, Muiris MacCarthaigh observed ‘senators can often bring new and important perspectives to legislation that might otherwise not be heard in the more pressurised Dáil chamber’. In our current predicament, we need a reformed senate that provides more scrutiny and more oversight, not less. Without such checks and balances, rushed and defective legislation can simply be rammed through the Dáil. Over the decades, the Seanad has also remained an important forum for independent voices. Owen Sheehy Skeffington is regarded as having made a significant contribution to the liberalisation of post-war Ireland with his interventions on issues such as the role of the church, censorship, education, unionist identity and corporal punishment. When, at his third attempt, he was elected to the Seanad in 1954 for Dublin University, he drew attention to these issues by assailing and challenging complacency and apathy in high places. In June 1970 after his sudden death, his inspiring example as a senator for Trinity was saluted by the cathaoirleach of the Seanad, who paid tribute to his courage and independence: ‘he was never dismayed if his point of view was a minority one and indeed seemed at times to revel in a position of isolation. Though few senators have not crossed swords with him at one time or another, no one could withhold admiration for his honesty, integrity, and moral courage.’ He could not have done this in the Dáil, even if he had been elected to that assembly. Other senators – W.B.Yeats, T.K.Whitaker, Catherine McGuinness, David Norris, Feargal Quinn, Mary Henry, Joe Lee to name just a few – also used the Seanad effectively to champion minority interests or to highlight things that needed to be highlighted, and they were not senators because they had failed to win Dáil seats. A healthy democracy requires a forum for dissent, constructive opposition, quality deliberation, oversight and amendment. It is quite obvious that the Dáil is not such a forum, nor will its political masters allow it to become such a forum; the ‘reform package’ that the government is promising, even if it was acted on, does not challenge executive dominance and the use of the party whip. 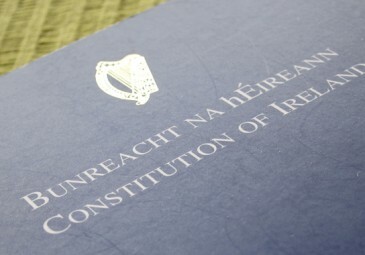 Without a Seanad, and in the absence of real local government, we will be left with just a single chamber elected solely on the basis of multi-seat constituencies, populated by TDs devoted to local and constituency work who will obediently vote under the whip system to rubber stamp already made decisions or face expulsion from their parties. Why the hostility to ideas and reform? 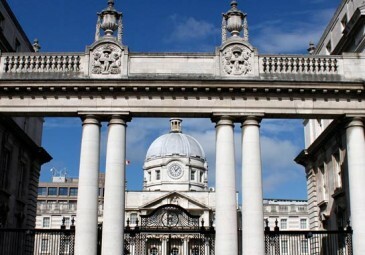 Why has Irish political culture remained more about power than vision? In 1997, at the time of the 75th anniversary of the foundation of this state, political scientist Tom Garvin penned a robust defence of politicians’ performances in the context of their success in establishing the legitimacy of the state and its democratic institutions, particularly during times when other countries in Europe failed lamentably to do that. ‘Despite their mistakes and sins’ he wrote, ‘the Irish revolutionaries-turned-politicians got it more right than wrong.’ It appeared quite a convincing argument, underlining the achievements of the revolutionary generation in overcoming civil war divisions in order to create stability during difficult times. Despite the decline in influence of some pietists and the Catholic Church, such an ethos is still prevalent more than 50 years later and dominates Irish political culture. There was not enough debate about policy, ideology or the consequences of a ruthless centralisation, authoritarianism and the destruction of local government. As even Tom Garvin observed, whatever about the revolutionary generation’s devotion to national politics, ‘these unenthusiastic democrats were qualified in their attachment to democratic ideas and were not prepared to trust people with the power to run local affairs’. 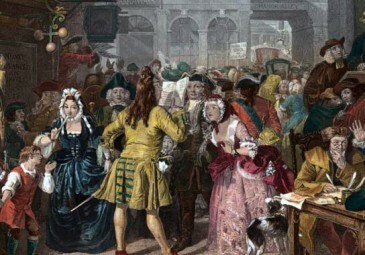 After the laying of the state’s foundations, the practice of politics was simply about the spoils of the system rather than engagement with ideas about the nature of citizenship or society. Politics was about management rather than vision. Irish politics became, in Brendan O hEithir’s phrase, about ‘how the bottom rung of the ladder to power is hammered into place’ and then about how to keep that power once won. referred to the frustration with what he termed ‘a ghost parliament’ Political culture was male dominated and a closed system in which those who had ideas about doing things differently were dismissed as maverick, or worse still, intellectuals who had no place or role in Irish politics. 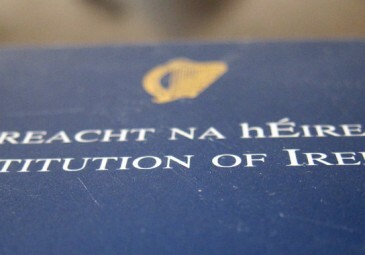 Reform rather than abolition of the Seanad provides an opportunity to meaningfully address the inadequacies of what was agreed in the 1930s and the consequences of one of the hallmarks of this state as reflected in the developments of the early decades and ever since: the distrust of popular consultation. The very fact that the government is refusing to even consider reform is reason enough to reject the proposed abolition. The proposal to abolish checks, revisions and the rectifying of mistakes, is the very opposite of reform and a ‘democratic revolution’. It is aggressively anti-democratic and a populist but dangerous deflection from the hard work of real reform. If successful, it will result in a mutilation of the Constitution and allows abolitionists to continue in the dereliction of their duty; they have often claimed that numerous reports over the years about Seanad reform have remained unimplemented; what they do not acknowledge is that this is because of a refusal of successive governments to implement those proposed reforms; senators cannot reform the senate without the co-operation of government; they simply do not have the power to do so. Those with power do not want a reformed Seanad with enhanced powers of oversight and scrutiny. In seeking to abolish the Seanad, they should be asked a simple question: have you learnt nothing about the dangers and consequences of the excessive centralisation and abuse of power in this state? In 1945, a contributor to Seán O’Faoláin’s The Bell magazine, responding to the introduction of county managers, who were appointed to oversee and further undermine local government by acting as an arm of central government, suggested the introduction of the management system ‘implies a rather awesome admission of failure, an admission that we were not, in some respects, fit for self-government’. Nearly 70 years later, this proposal to abolish the Seanad is another ‘awesome admission of failure’, underpinned by arrogant and disingenuous boasts about creating a Republic fit for purpose. In truth, it is about a further narrowing of democracy, a frightening example of an anti-intellectual commitment to a shrinking republic. Abolitionists are asking us to write the government a political blank cheque regarding the concentration of governance in ever fewer hands. That demonstrates contempt for the idea of dispersal of power and the merits of consultation, and such contempt should not be rewarded, but strongly resisted.